i guess i meant more in the women's race, which saw two women gun for the record and then fade badly. the top men seem to have handled it well, you're right. fast times, even if not WR. wonder what that's about. 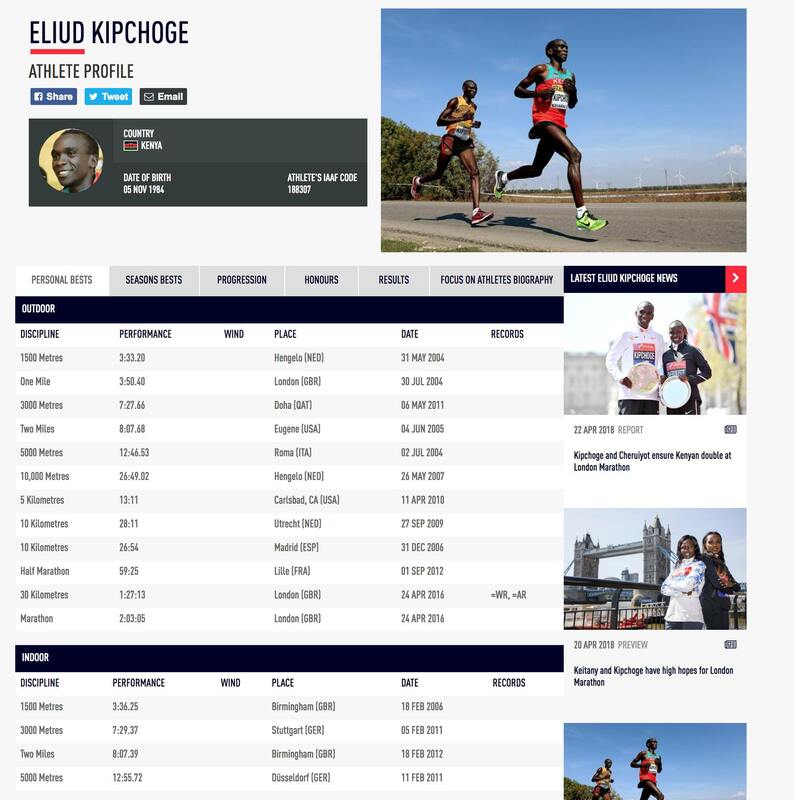 yeah man I was looking at his IAAF stats, him & Bekele are so insane. Bekele hasn't had the consistency of Kipchoge in the Marathon but I think he has the second fastest time ever? These dudes are crazy. each race is different. no matter the peak stats, how a race plays out can change everything. plus, a WR (PB) can take alot out of you, for quite some time. My mistake I mistook him to be cheptegei. I thought it was kipchoge who won the 10k final in the commonwealth. lol. Some enmity with the kenyans against mo in competition terms. ahh. Cheptegei will definitely be the new king of the track. He's incredible. I once posted some running clips of him on my IG way back. He wasn't that well known at the time, but I just couldn't believe his form/beautiful running. He should be the new king of 5k/10k. I feel like he could double at the 2020 olympics, just like Mo did in 2012 and 2016. Doubling twice is another story... hah. Cheptegei is the real deal. London marathoner who collapsed at mile 22 has died sad stuff.